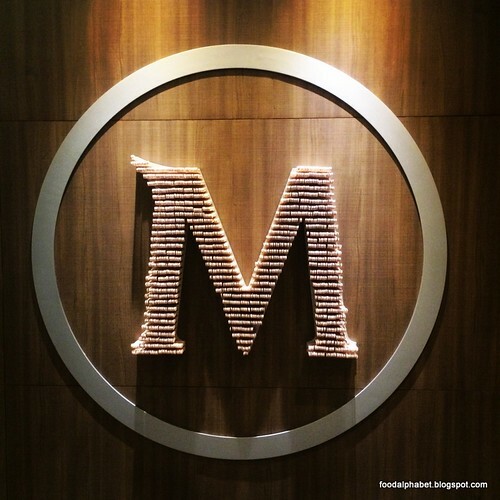 "Magnum Manila is opening April 8!!!" Yes, that's 3 exclamation points, that is how excited I am, and I am sure you are as well. 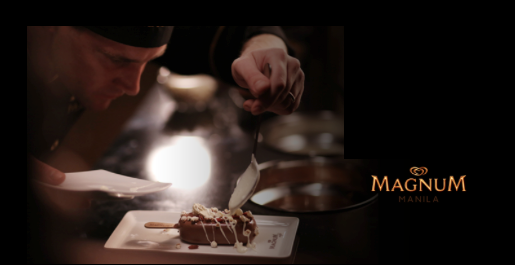 I have had the pleasure of enjoying my first ever Magnum Cafe experience in Thailand, where it's set in a very dim-lighted mood, with a no. of stores opening in Asia such as Singapore, I am so glad that they decided to open one here in Manila. let's all rejoice for Katsufor200! The first 200 people who will line up outside the Yabu Southmall branch on March 31 will get a complimentary katsu set of their choice. Terms and conditions apply. Each person in line will one ticket to confirm his no. 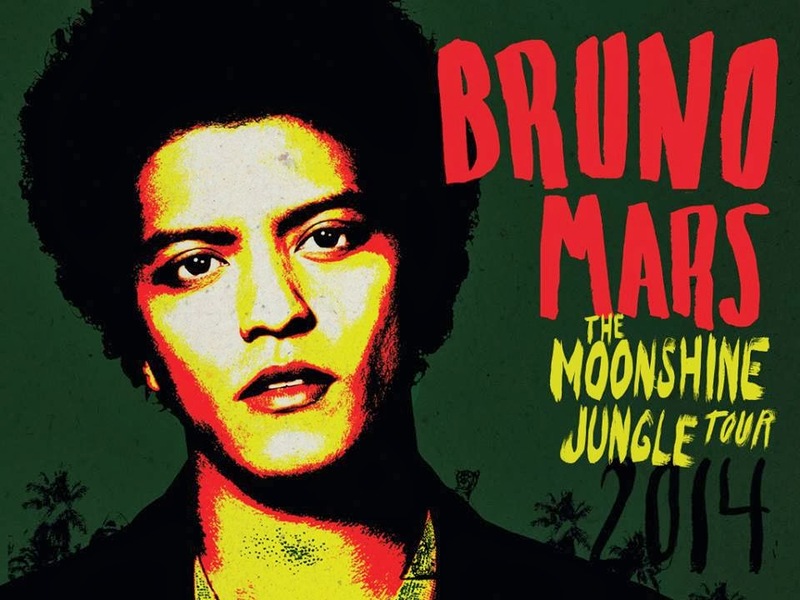 in the line, and when its your turn, you know the drill.... enjoy! Macaroons for a cause + Giveaway and a chance to meet, greet and have a photo op with a special guest from the Black Eyed Peas! 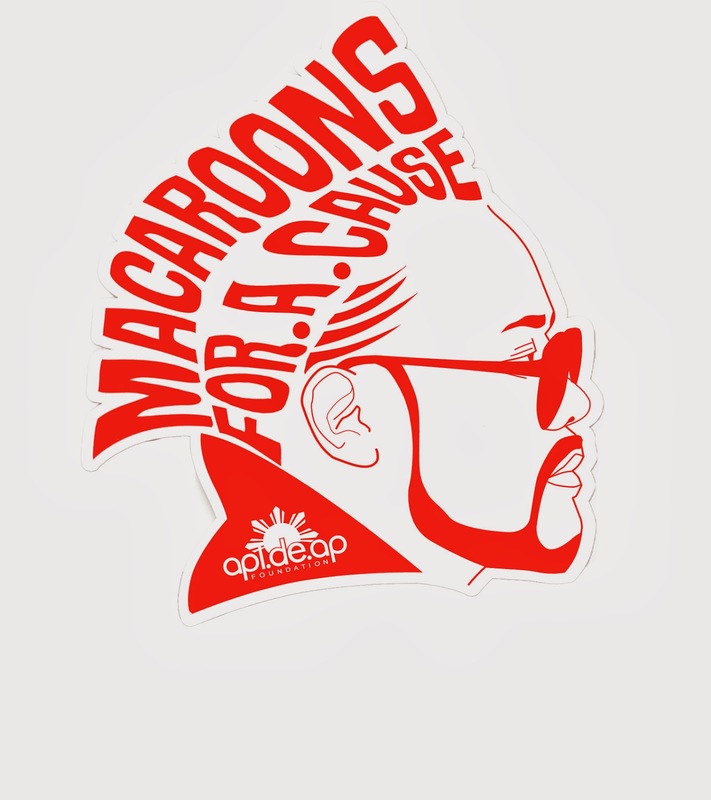 Apl.de.Ap in partnership with Red Ribbon, is proud to be supporting the Macaroons for a Cause program, this program sees to it that as you continue to purchase Red Ribbon's Macaroons, you also support Macaroons for Cause's push for education. The more you purchase, the more in bridging the information gap in the Philippines, and with that you are already doing a random act of kindness in itself. So let's push this envelope even further by doing this great giveaway. Think of "What good were you able to do today?' Then join in on our rafflecopter giveaway! 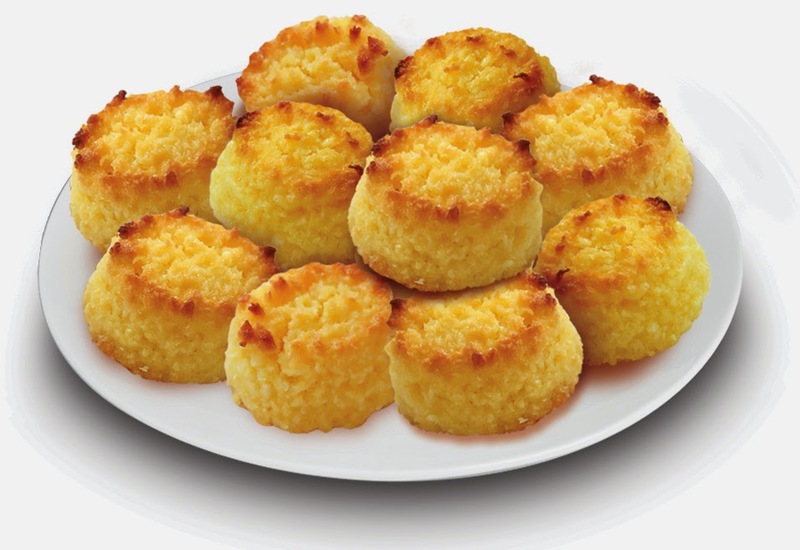 We will randomly draw 4 winners to win a box of Red Ribbon Macaroons worth P200. And a 5th winner with the best answer to the question will also get to win a box of Red Ribbon Macaroons plus you get to have a photo op with one very famous celebrity, and also a member of the Black Eyed Peas, I guess you already know who it is. 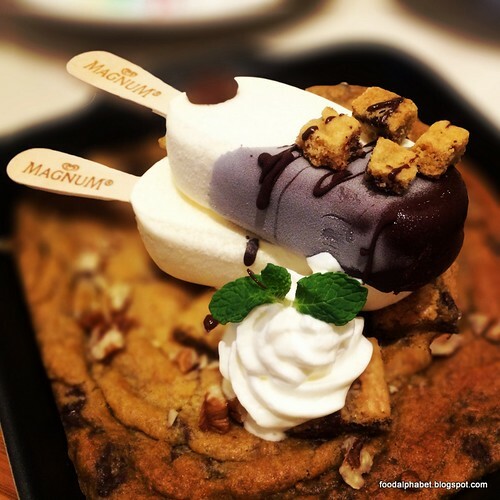 to happen since the launch of Magnum Gold! Watch for it! As it unfolds here at The Food Alphabet! Nothing says “Congratulations” better than the luxury brought by Diamond Hotel Philippines. Graduates will surely enjoy their sweet scholarly success with the hotel’s wonderful offerings. With an educational achievement under his belt, a well-deserved relaxing stay at the hotel will make the baccalaureate feel that the hassle is definitely worth the tassel. 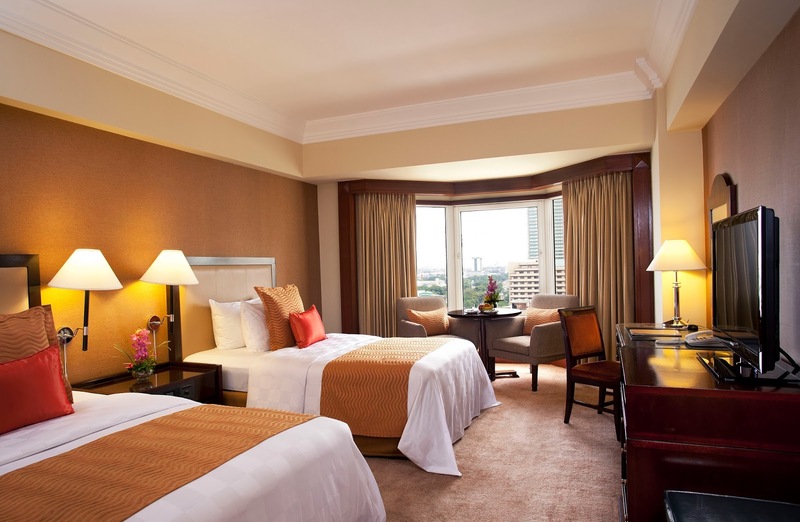 The Graduates Room Package is only Php5,999 nett for a Deluxe room but is upgraded to a Deluxe Palisade room. The package also includes breakfast buffet for 2 at Corniche, free internet access for 3 hours in the room per stay, 20% off on massage and reflexology, 10% off on beverage at the Sky Lounge and Poolside Bar, use of Health Club and Spa facilities, use of the swimming pool, and free shuttle to the mall from Friday to Sunday. Room package is valid until end of March 2014. 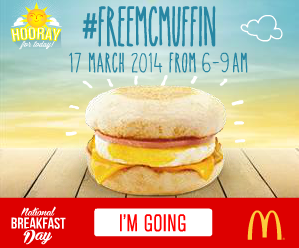 FREE McMuffin on National Breakfast day at McDonald's!!!! Mc Donald's on March 17! And it's back! National Breakfast day at McDonald's happens on March 17, 2014! 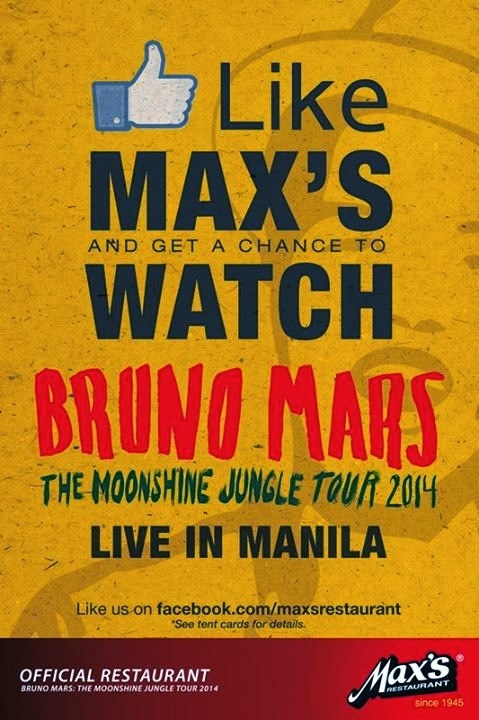 Mark your calendars and let it happen on March 17. Last year, on the first ever McDonald's National Breakfast day, they gave away 1,000 McMuffins per store and now on its second year, McDonald’s will be celebrating the biggest breakfast activation by serving more than 315,000 McMuffin sandwiches to customers all over the country. Starting at 6:00 AM, all participating McDonald’s breakfast stores nationwide are joining the celebration to say “thank you” to its customers who start their day at McDonald’s. Each participating McDonald’s breakfast store will be giving away free McMuffins to the first 1,000 customers at a first-come-first-serve basis – that’s over 315,000 hot and fresh McMuffins to be given away nationwide via Dine-In, Take-Out, and Drive-Thru. Wow wow wow! For all you dimsum lovers out there! Now is the perfect time to enjoy unlimited great tasting dimsum treats from Gloria Maris! Get to enjoy loads of dimsum, varieties of noodle soup, congee and dessert all at an unbelievable price of only P488 net per person and P388 net per person for kids. This unbelievable offer starts today, March 3 and lasts until March 28, 2014. 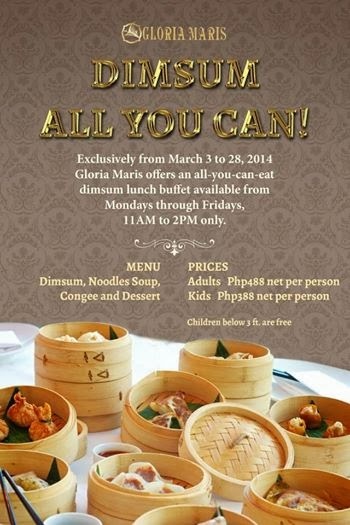 Valid only from Mondays thru Fridays, and only for LUNCH dimsum buffets only! From 11am to 2pm. Thank you Mr. Richard Co of Tales from the tummy, for bringing this great info to us. I hope I could make it to one of those lunch buffet times, if I do, will definitely give you a low-down on what to expect. Offer is valid only at Gloria Maris Greenhills Shopping Center, see you there!